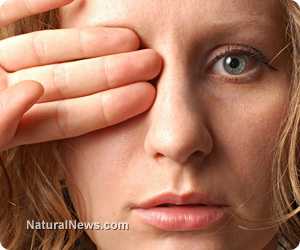 (NaturalNews) Cataracts are the leading cause of blindness in the world. Doctors will tell you that there is no cure for cataracts and that your only options are to either have surgery or treat the symptoms. The truth is that cataracts can often be reversed and even eliminated with natural treatments. Cataracts are a clouding of the lens which usually worsens and blurs the vision as time goes by. It is believed than many things can lead to cataracts such as: aging in the eye accelerated by toxic stress, dehydration and heavy metal poisoning with metals such as bromine, cobalt, cadmium and nickel and lead. Notably, heavy cigarette smoke is a leading source of cadmium. 2) Maintain proper hydration. Cataracts are denatured lens proteins (denatured = dehydrated). Proper hydration is also the best way to reduce your toxic load. 3) Be tested for heavy metal poisoning and if heavy metals are present have them treated. The only proper way is to have a six-hour urine challenge test with a provocative agent to measure the heavy metals. If you have elevated heavy metals you need to undergo chelation therapy. See www.acam.org for doctors who do this challenge test. Cataract lenses contain only about one-tenth as much glutathione as normal lenses. Supplementing with N-acetyl-cysteine (NAC), a natural precursor to glutathione, has been shown to increase glutathione levels. *Saffron - In a recent trial, every participant who took the kitchen spice saffron had vision improvements, including those who had cataracts. *An ancient Egyptian remedy for cataracts consists of placing a few drops of raw organic honey (Manuka honey is the best) in the eyes twice or more each day. *Consuming plenty of carrots or drinking two glasses of fresh carrot juice daily has been reported to alleviate cataracts. *Eat two or three cloves of raw garlic daily, chewing slowly, to clean the crystalline lens of the eye.